(Cannon Beach, Oregon) - Red roses, champagne, chocolates, heart-shaped pizzas, teddy bears, cuddly, intimate hotels and the Oregon coast: it’s all irresistible, isn’t it? 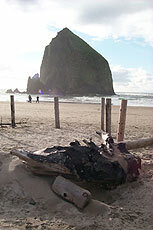 It’s all a perfect Valentine’s Day combination, something which parts of the Oregon coast are offering in great abundance this year for the kiss-inducing holiday. Various hotels and high-end restaurants in the arty yet earthy burghs of Cannon Beach and Wheeler are pulling out all the stops with a variety of specials to entice you and your loved one to the Oregon coast region on this most romantic of holidays. Martin Hospitality oversees five of the coast’s most prominent destinations: Cannon Beach’s Stephanie Inn, Surfsand Resort, The Lumberyard Rotisserie & Grill and The Wayfarer Restaurant & Lounge, as well as The Inn of the Four Winds in Seaside. All of these, along with the Old Wheeler Hotel in Wheeler and Cannon Beach Fultano’s Pizza are spotlighting some remarkable means of romantic repose and relaxation, with a variety of specials to lure the soul and the body to an intense place of otherworldly pleasures. The couple’s special consists of a large heart-shaped pizza with one topping, two beverages (beer or wine), a sinful dessert and a special candle for your supper, all for $25. 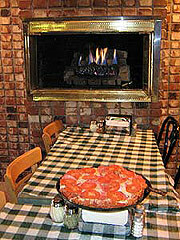 The family special features a large one-topping pizza, eight breadsticks and a pitcher of soda, also for $25. 200 N. Hemlock (entrance on 2nd St.) 503-436-9717. www.cbfultanos.com. The weekend just after Valentine’s Day is all booked up at the stately Old Wheeler Hotel in scenic and quirky Wheeler, but with the holiday falling in the middle of the week, there is much availability on that day as well as the weekend prior to the 14th. Valentine’s Day itself still falls under their weekday winter rates, which is as little as $55 per night, up to $75 on other rooms. “That's less than a bouquet of flowers and a lot more fun,” Laszlo said. 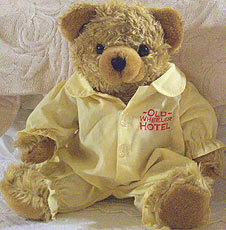 For the holiday, they’re also offering a special touch with a special bear in his PJ’s. “We’ll include our mascot teddy bear, ‘PJ,’ who will be waiting for you on the bed, already in his Old Wheeler Hotel pajamas, for an additional $15,” Laszlo said. 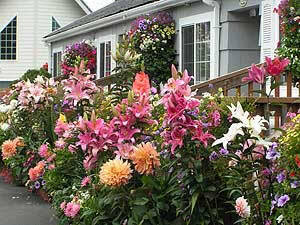 Hwy 101 and Gregory, Wheeler, Oregon.. www.oldwheelerhotel.com. 877-4theview. 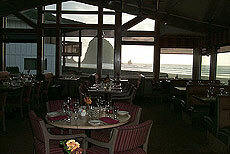 Meanwhile, in Cannon Beach, the Martin Hospitality group is spotlighting its take on romance. The Stephanie Inn - Romance Package: The Stephanie Inn is an elegant, sophisticated and enchanting New England-style country inn situated on the picturesque edge of the Cannon Beach shoreline. Often revered for its romantic charm, the Stephanie Inn is the perfect getaway for couples looking for relaxation amidst the hectic nature of their everyday lives. With their romance package, guests have the choice of champagne, wine or cider in the room upon arrival; a single red rose, a votive candle, rose petals on the bed at evening turndown and a choice of chocolate body paints and bubble bath or a bath basket and a half-pound box of delectable chocolates. Cost is $79 with chocolate body paints and bubble bath, $99 with bath basket and chocolates (on top of nightly room rates). In addition to this package, visitors choosing to stay two nights at the Stephanie Inn for full rate in the month of February will receive the third night for just $99. 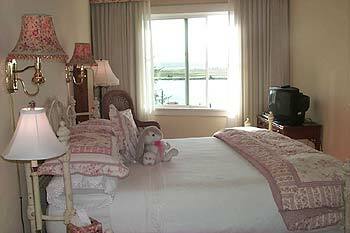 The Stephanie Inn celebrates Valentine’s Day throughout the entire month - specials offered from February 1st -29th. For more information visit www.martinhospitality.com. The Stephanie Inn Dining Room - Valentine’s Day Dinner: Complementing its room packages, the Stephanie Inn Dining Room is offering a Valentine’s Day dinner on February 14th. The delectable feast, prepared by renowned Executive Chef Crystal Corbin, includes lobster, filet and a shared chocolate dessert for two. Cost is $109 per person, excluding gratuity and beverages. For more information visit www.martinhospitality.com. The Surfsand Resort—Heart to Heart Package: The Surfsand Resort has been in the Martin Hospitality portfolio since 1979. However, the property has entered Phase II of its $12 million renovation that will make it one of the few full-service resorts on the northern Oregon coast. Often considered a family-oriented destination, the resort offers deluxe accommodations including suites, standard rooms, studios and delightful houses with a variety of ocean views stretching from the magnificent Haystack Rock to Tillamook Head Lighthouse. 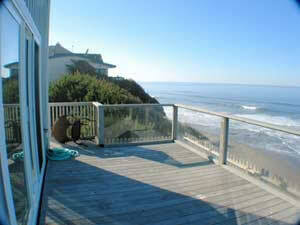 Many rooms feature Jacuzzi tubs, fireplaces, wet bars or fully equipped kitchens. The resort’s renovation will be complete in September 2007. 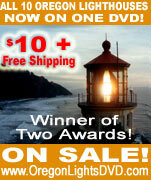 In February, enjoy the most popular promotion for two, the Heart-to-Heart Package. Upon arrival to the room, guests will find two long-stemmed roses, chilled champagne, wine or sparkling cider, chocolate heart candy, chocolate-dipped seasonal fruit and a plush teddy bear. Rose petals will be sprinkled on the bed at evening turndown. After a full day of activity and a restful night’s slumber, awaken the following morning to a complete breakfast for two delivered to your room. Cost is $120 in addition to nightly room rates. For more information visit www.martinhospitality.com.. The Surfsand Resort – “Pamper Me” Promotion: Enjoy a sensual experience at the beach this February in a beautifully appointed oceanfront guest room. This relaxing package includes rose petals sprinkled on your bed during evening turndown service and a rejuvenating bath spa basket. 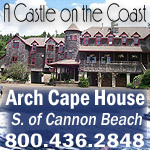 A two-night minimum is required; cost is $179 per night. For more information visit www.martinhospitality.com. 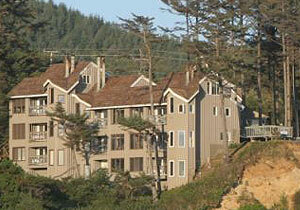 Inn of the Four Winds - Sweet Heart Package: The Inn of the Four Winds captures breathtaking views and quiet serenity in Seaside, Oregon. Just steps from the beach, each of the 14 well-appointed suites offers a unique experience. Romance is thriving and peaceful nights filled with sounds from the surf await guests at this cozy inn, just steps from Seaside’s Promenade. For more information visit www.martinhospitality.com. This romantic Sweet Heart Package for two is perfect for honeymoons, anniversaries or romantic getaways. Upon arrival to your room, you’ll find chilled champagne or wine, a balloon bouquet, a ½ pound of Tipton's Chocolates and the flowers of your choice. Cost is $50 in addition to your nightly room rate; price is dependent upon beverage and flower selections. For more information visit www.martinhospitality.com. The Lumberyard Rotisserie & Grill - Valentine’s Day Dinner Special: On February 14th, take your loved one to dinner and enjoy a filet of tenderloin and lobster tail served with drawn butter, demi-glace, mashed potatoes and vegetable du jour. Cost is $49.95 per person. For more information visit www.martinhospitality.com. The Wayfarer Restaurant & Lounge - Valentine’s Day Dinner Specials: This Valentine’s Day, enjoy an eight-ounce filet of tenderloin and an eight-ounce lobster tail served with drawn butter, horseradish, demi-glace, blue cheese whipped potatoes and vegetable du jour. Cost is $49.95 per person. The Wayfarer also offers a “seafood strudel,” with Dungeness crab, shrimp, scallops and halibut with roasted garlic and shallots, baked in phyllo and topped with sherry cream; served with wild rice blend and vegetable du jour. Cost is $28.95 per person. In addition to these specials, the regular dinner menu will be available from 4:30 to 10 p.m. For more information visit www.martinhospitality.com.